The Pentek CBR2-10 cartridge is a 0.5 micron rated multi-stage filter designed to reduce chlorine, taste and odour, lead, heavy metals and other contaminants. Cartridge contains powered activated carbon (PAC), specially designed absorbent media and a built-in pre-filter to increase the usage life of the cartridge. The CBR-2 is Tested and Certified by NSF International to NSF/ANSI Standard 42 for material requirements only. Nominal 0.5 micron Pentek CBR2-10 Carbon Briquette Multimedia Water Filter Cartridge. The Pentek CBR2-10 water filter is an advanced multimedia cartridge designed to reduce chlorine taste and odour, dissolved and particulate lead, cysts, MTBE and certain volatile organic chemicals (VOCs). The Pentek CBR2-10 water filter cartridge reduces lead through 2,000 gallons, reduces VOCs and reduces MTBE. The Pentek CBR2-10 water filter reduces 99.95% reduction of Cryptosporidium, Giardia, Entamoeba and Toxoplasma cysts. The Pentek CBR2-10 water filter is a premium high capacity chlorine taste & odour reduction filter through more than 20,000 gallons. Enhanced dirt-holding capacity. 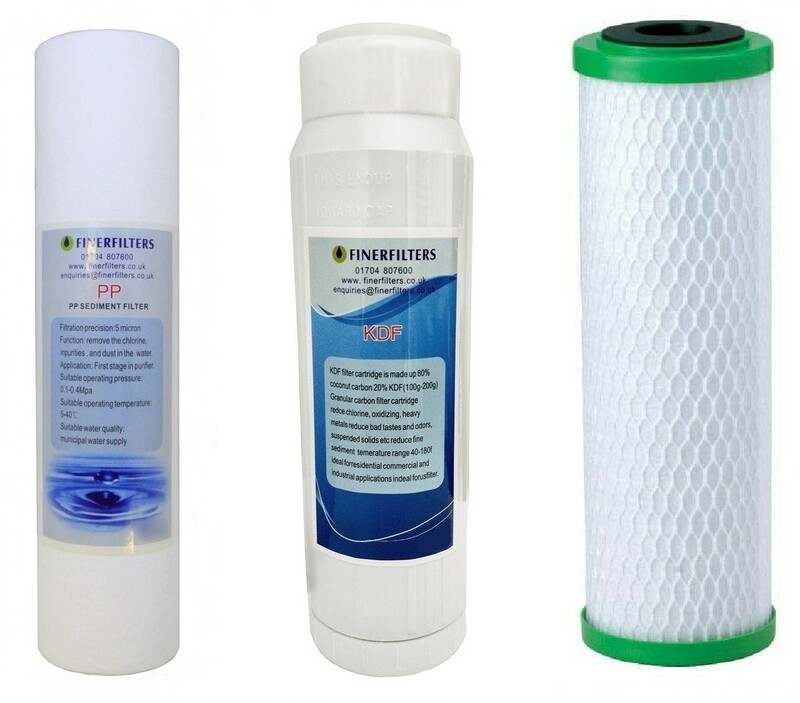 The Pentek CBR2-10 water filter cartridge is manufactured using a patented process, and combines powdered activated carbon (PAC) with a specially designed adsorbent medium for lead and mercury reduction. The Pentek CBR2-10 cartridge is protected by Endurawrap, a uniquely formulated polyolefin bilaminate prefilter, designed to significantly increase the useful life of the cartridge by trapping sediment that typically plugs carbon block cartridges. In addition to lead reduction, the unique structure of the carbon block enables it to reduce Giardia, Cryptosporidium, Entamoeba and Toxoplasma cysts and fine sediment particles down to 0.5 microns.